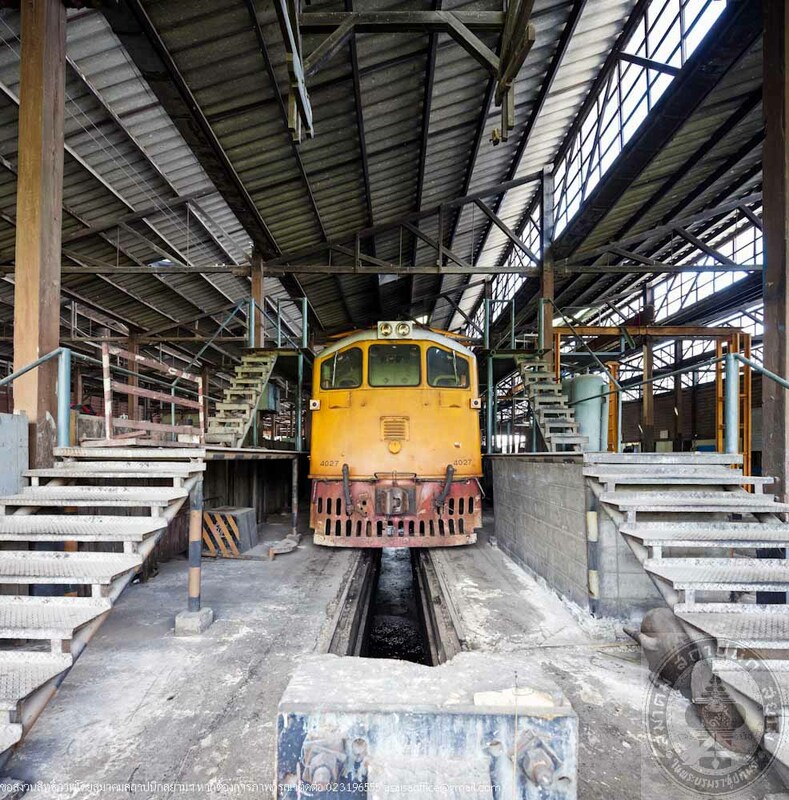 Kaeng Khoi Locomotive Depot, designed by Nai Pin, built in 1942 and opened for service in 1942 to replace the old locomotive workshop that was too small and was unable to support the increasing numbers of the locomotives needed maintenance. 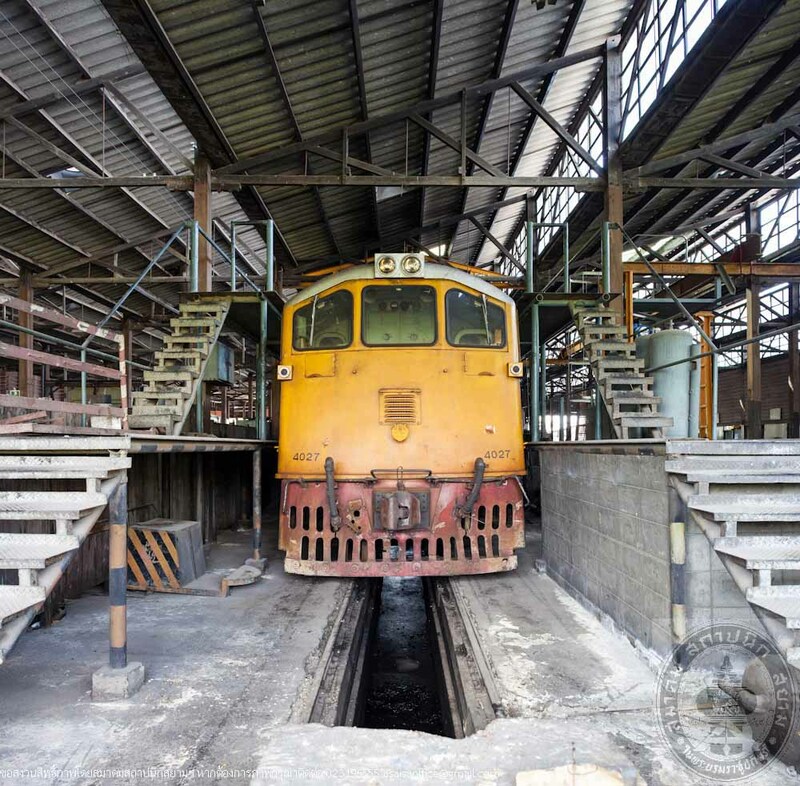 Kaeng Khoi Locomotive Depot was not only a repair workshop but was also used to store machinery and tools moved here from Makkasan Factory during the Second World War. 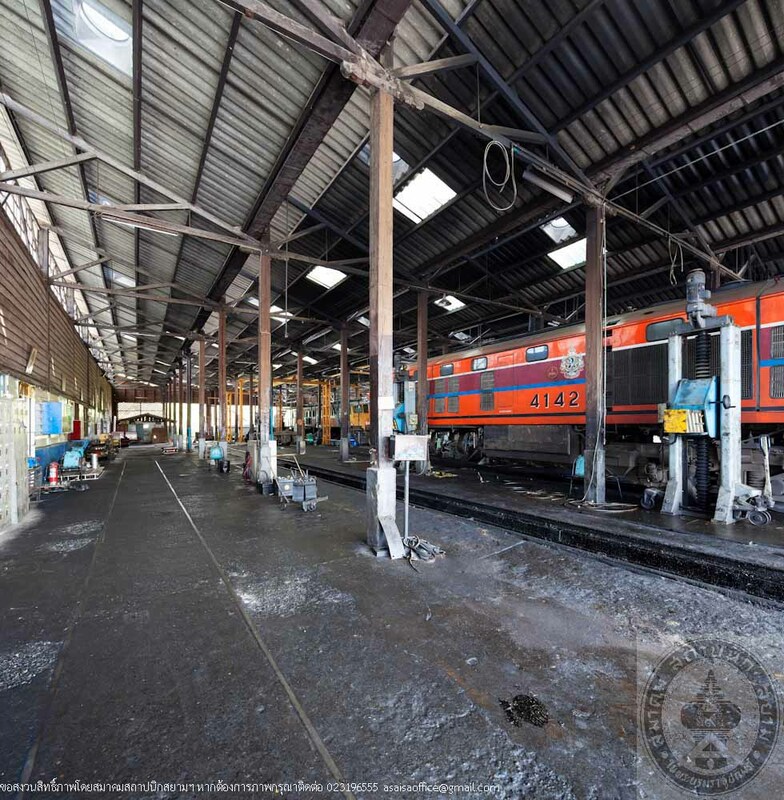 It is by far the largest locomotive workshop outside of Bangkok. 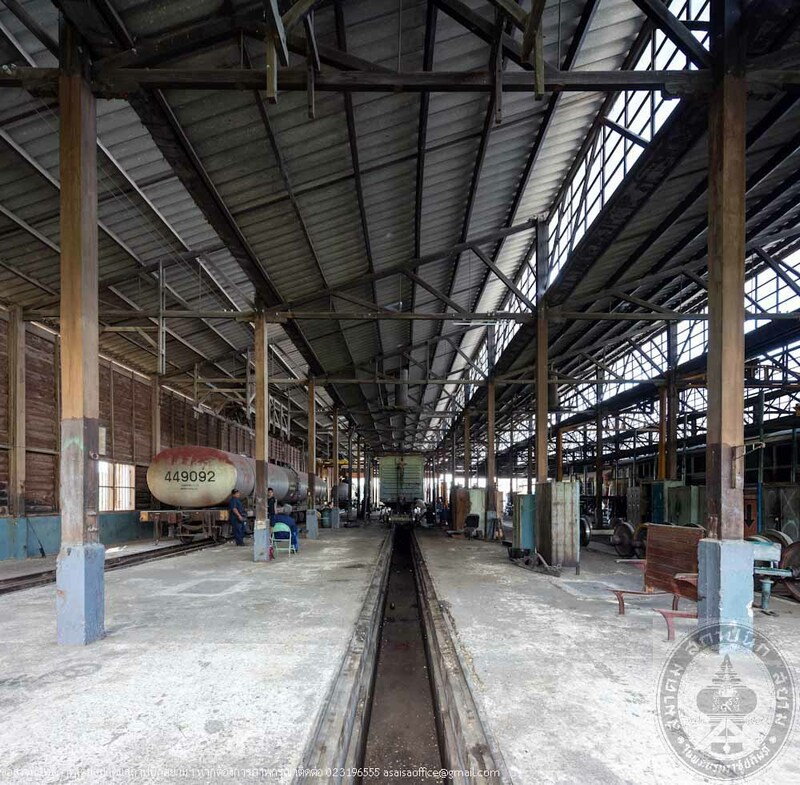 Several months after Kaeng Khoi Locomotive Depot was in service, the Allied troops were trying to explode Kaeng Khoi junction and this new locomotive workshop as it was, at the time, occupied by the Japanese troops. Plan to explode the junction failed and the explosives destroyed a nearby Kaeng Khoi market and people houses instead and killed many. Debris from the explosives caused damage to parts of the workshop roof. There is also debris that still is embedded in the wood of one of the posts in the workshop that has never undergone any repair or renovation. 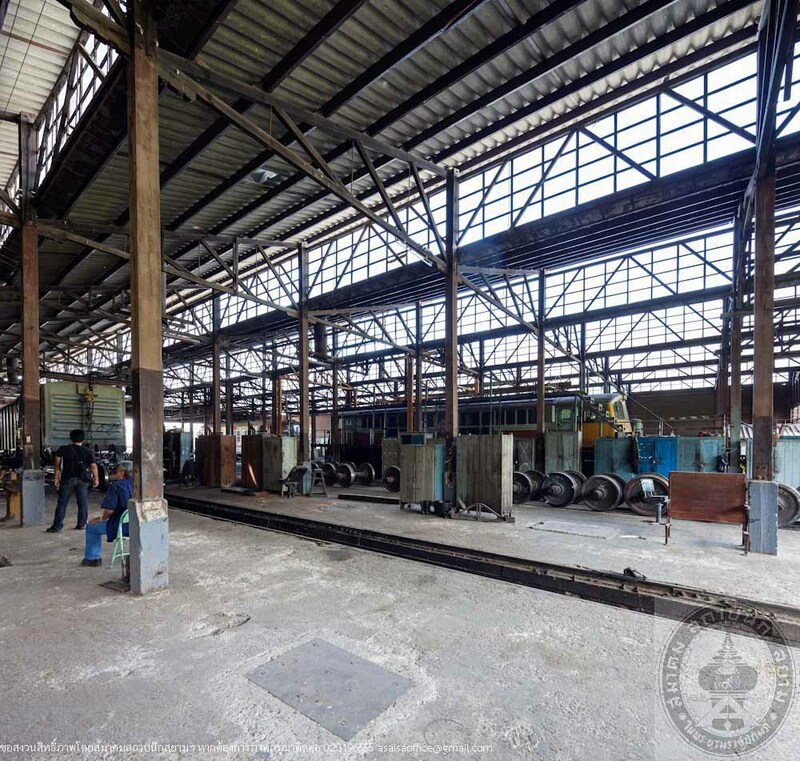 In 1952, an annex was added to the locomotive workshop on the southeast to be a factory. 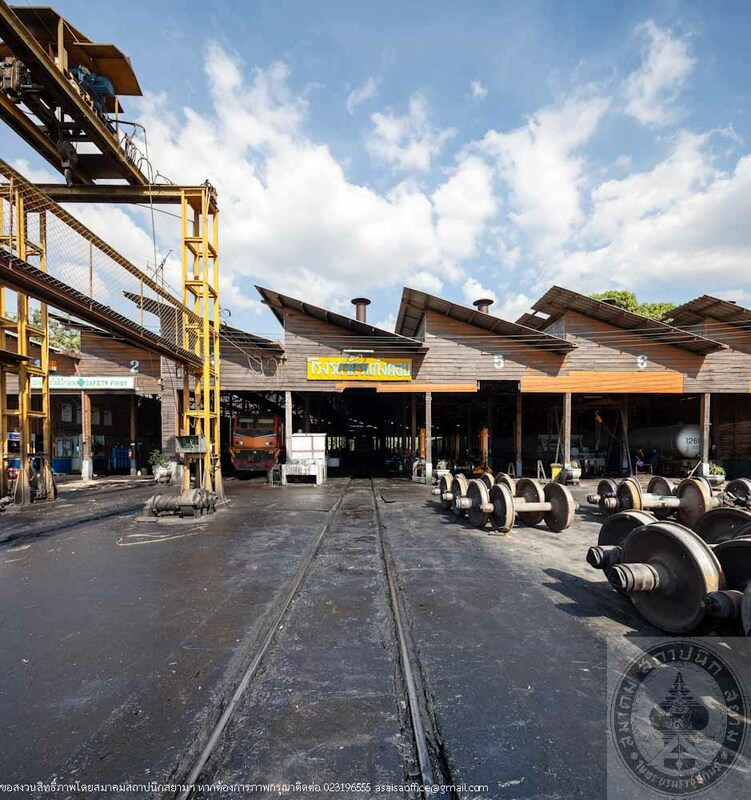 The annex was designed by Chalit Siripak, it is currently used to store machine tools. 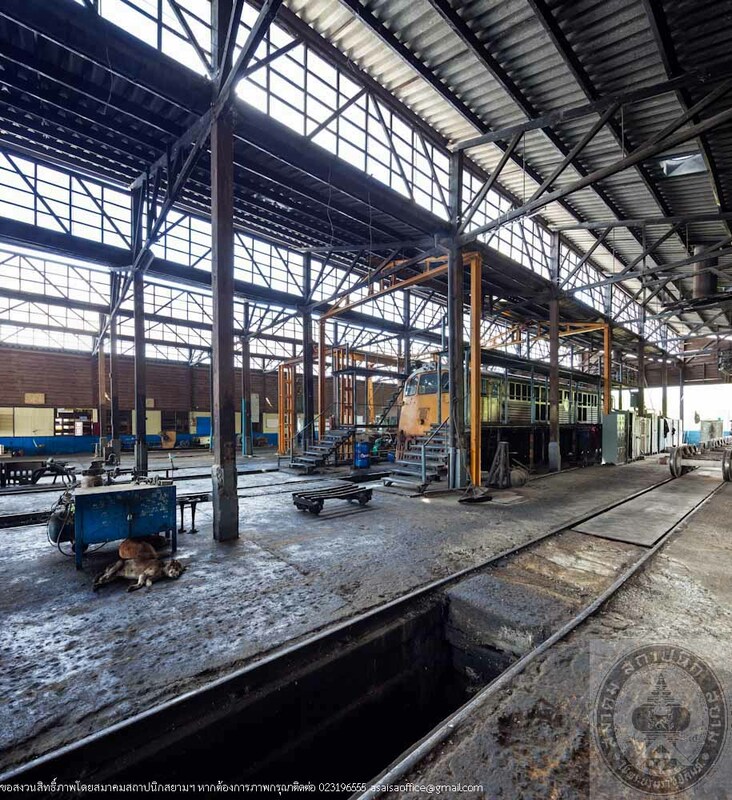 The workshop has been used to repair the steam locomotives until 1969 when the last service on steam locomotives took place before it was converted into repair workshop for diesel locomotives. 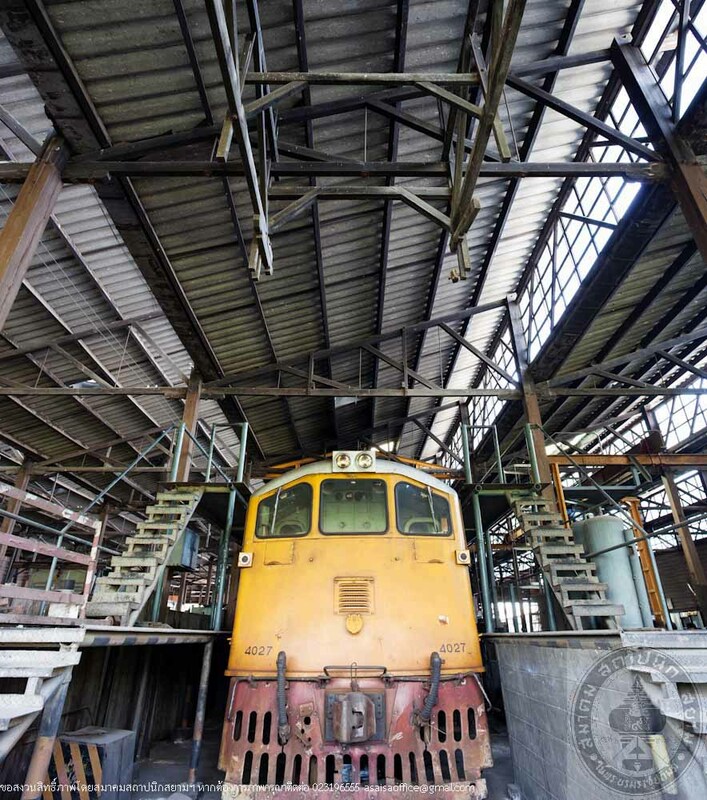 Today, Kaeng Khoi Locomotive Depot became a repair shop for locomotives used in towing commercial trains such as oil, powder, rice and cement. 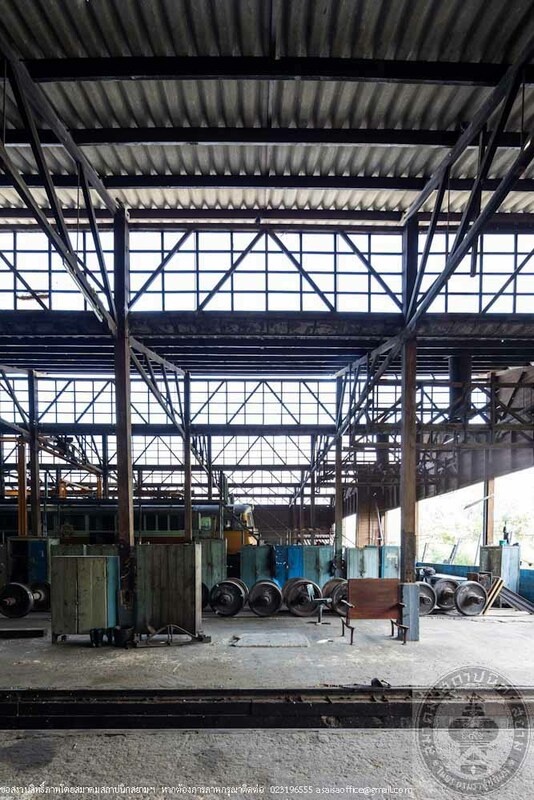 It is also used as a repair workshop for trailers including gas trailer, oil trailer and containers trailers. 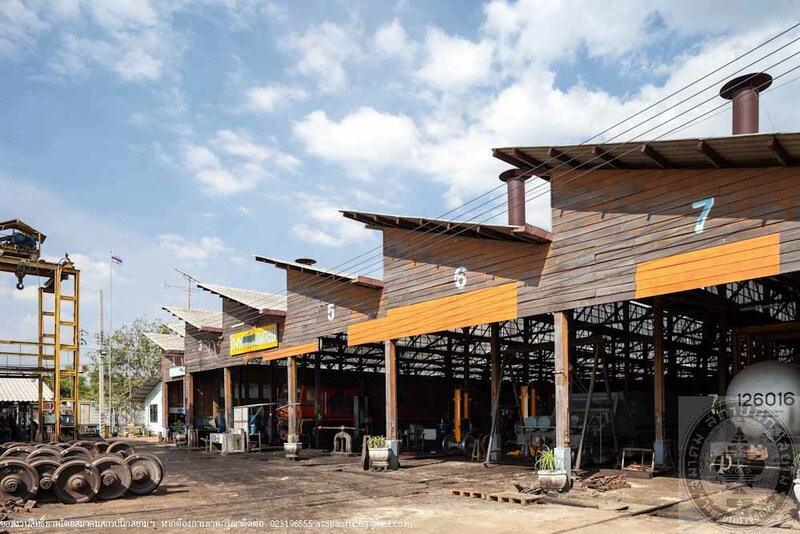 Kaeng Khoi Locomotive Depot is a single-story, rectangular wood structure, an elongated building with a northeast-southwest axis. 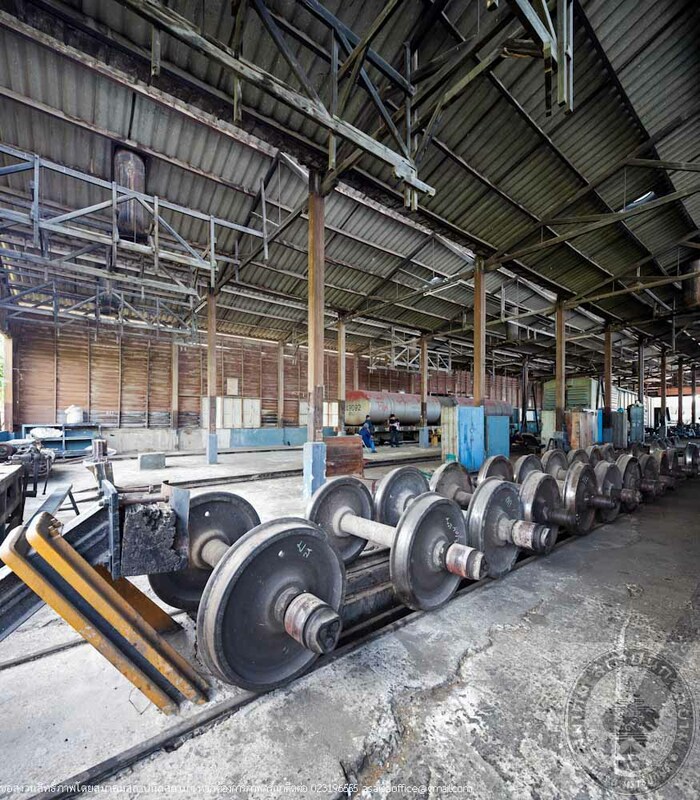 The area inside the workshop is divided into 3 sections including the main hall, office and machine tools room. The main hall is of 38.25 meter wide and 55 meter long. Align of 7 wood beams divided the structure into 7 sections. Projecting roof on each section with solid glass top along the length of the northwest side of the building allows enough light coming through during the day. Between each pillar are train tracks that were placed along the length of the buildings, with the total of 7 guide rails. The area under the rails was dug deep down and was made into concrete ditch for the service technician to be able to work on the underside of the vehicle. A wheel exchange well connecting the second and the third tracks. In addition, the northeastern corner of the main hall are bathrooms that were added later to replace the old bathrooms in the office that got converted into locomotive and trailer repair shop. Another section is the Office which was built parallel to northwest side of the main hall, 4.50 meters wide and 48.50 meters long, this office section consists of the office of the Night Shift Superintendent, locomotive and trailer repair shops, storage, office of the Staff Management Department, office of Kaeng Khoi Trailer Superintendent and office of the administrative staff. 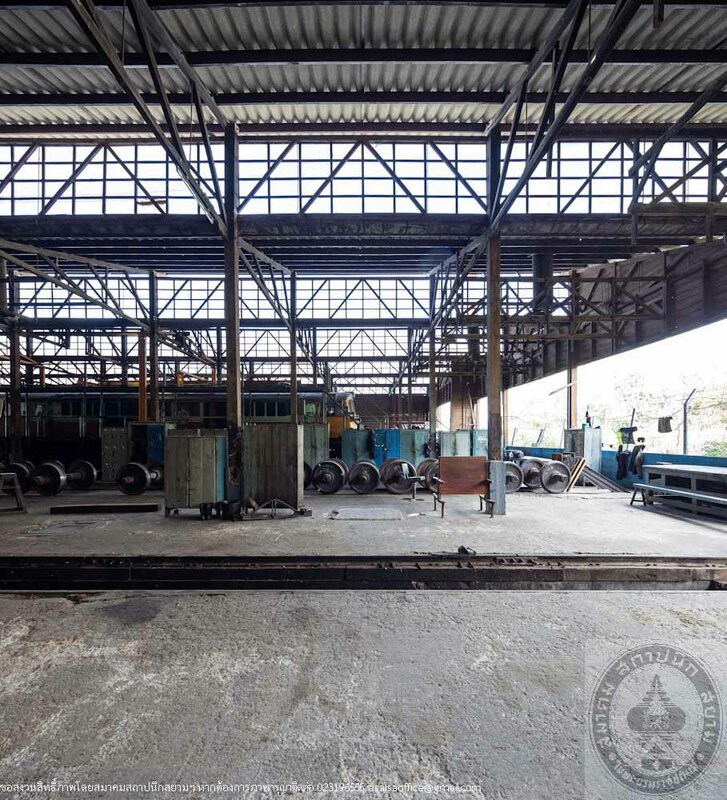 The last section is a machine tools room which is located on the southeastern side of the building, 4.50 meter wide and 15 meter long. The office wall, machine tools wall and part of the wall in the main hall are horizontal wood panel overlaid on brick masonry walls of 90 centimeters tall. The roof of the Office and machine tools room section is a projecting roof with roman tiles. 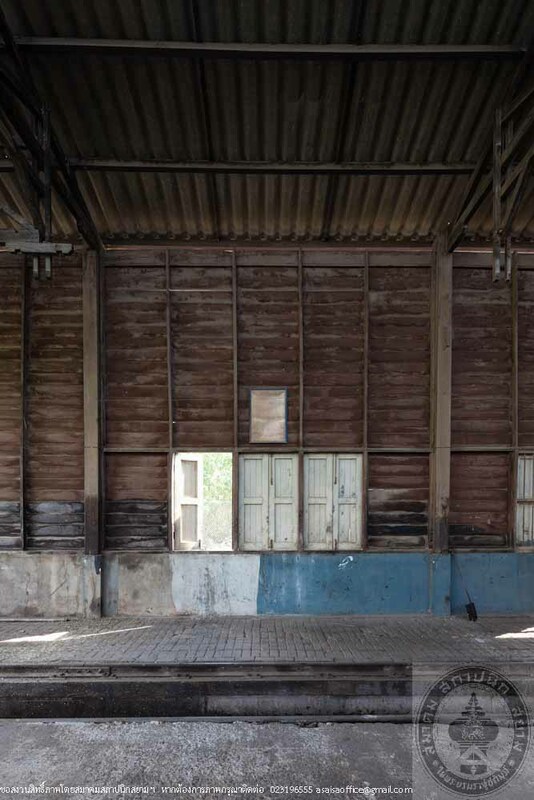 Doors and windows of the workshop are wood while some of the old doors in the office area were replaced with glass door with aluminum frame.Kaeng Khoi Locomotive Depot is a very outstanding building and was designed in accordance to functional needs and economic conditions during the Second World War period. 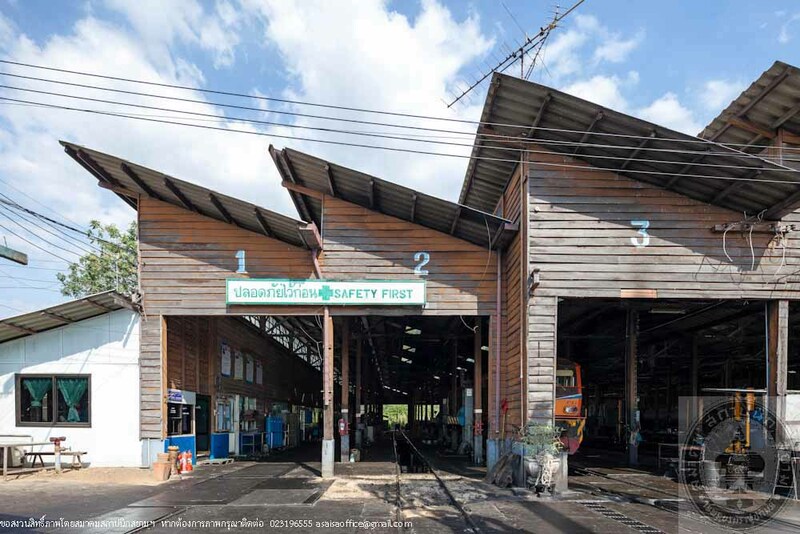 It is a large wood building of the State Railway of Thailand with complete structure and still in use. 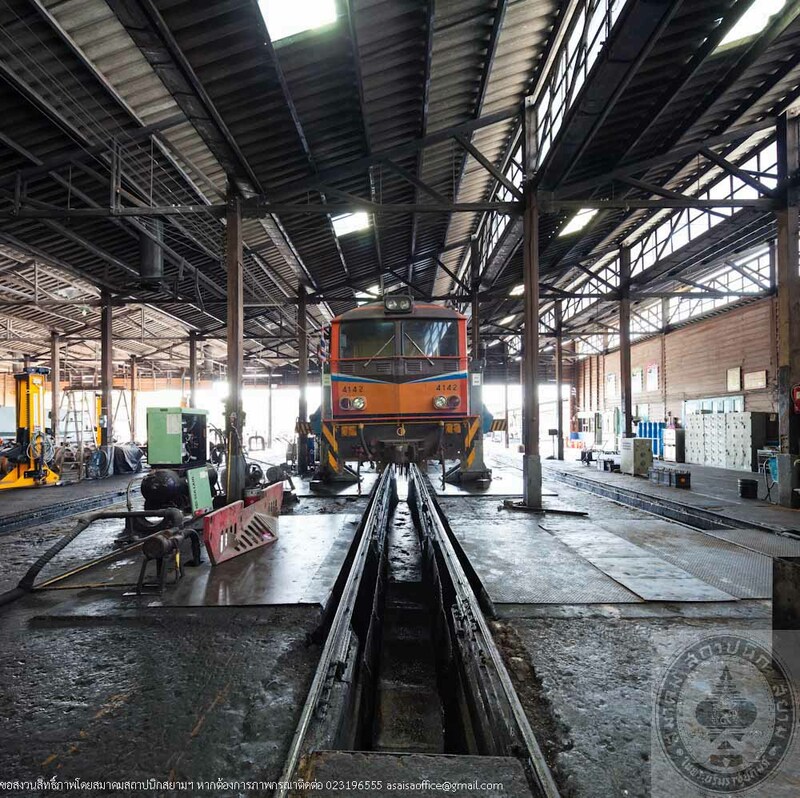 Throughout the years, the State Railway of Thailand has been maintaining the building to keep it in good condition and to still play an important role in servicing the locomotives and trailers.